Armodafinil is a noteworthy smart drug that has helped many, especially the armed forces over the years. The choice was quite obvious naturally. The smart drug compound is a powerful brain stimulant and has been known to be one of the safest. The preparations that go into making these pills are also controlled and safe. Armodafinil is a non addictive drug that can be also used to reduce the levels of depression and fatigue. 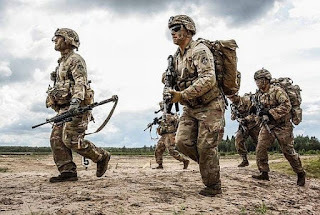 This fact is one of the main reasons that army personnel often prefer to take Armodafinil as a stimulant before going to long and special military operations. Armodafinil is an FDA approved product. This drug improves the cognitive skills and the executive brain functions. The Orexin Peptide is activated by stimulating the Orexin receptors that are in a mildly sleepy state. Orexin, also called hypocretin is a neuropeptide responsible for the arousal, wakefulness and appetite of an individual. Let us go more in details about the smart drug, Armodafinil. · The drug promotes wakefulness by influencing the Dopamine and other hormone levels of the body system. · The drug also enhances our cognitive skills and our executive brain functions like focus, memory, etc. · For night shift workers with Shift Work Disorder, this drug is especially helpful since the ingestion of one pill of Armodafinil can help them in being awake and focused and motivated enough to work through the whole shift. · Various sleeping disorders like Narcolepsy, sleep apnea are also treated with Armodafinil. · As it increases, the levels of Dopamine, which is also known as a feel good enzyme, Armodafinil, like other smart drugs is also known to reduce depression and keep us away from fatigue. · In some cases, where people have used Armodafinil, allergic reactions like swelling, reddening and itching have been reported. · Never overdose. Always stick to the prescribed dose by the doctor. Usually for regular users, one pill of Armodafinil in the morning is enough.